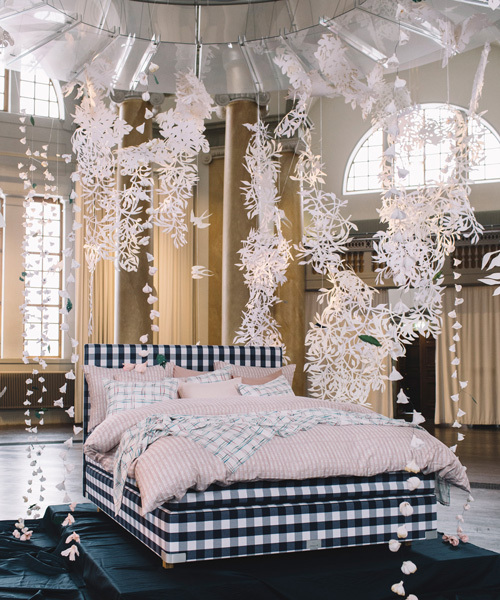 hästens (read designboom’s interview with CEO jan ryde here) has unveiled its latest collection of bed linens in collaboration with fashion designer lars nilsson. 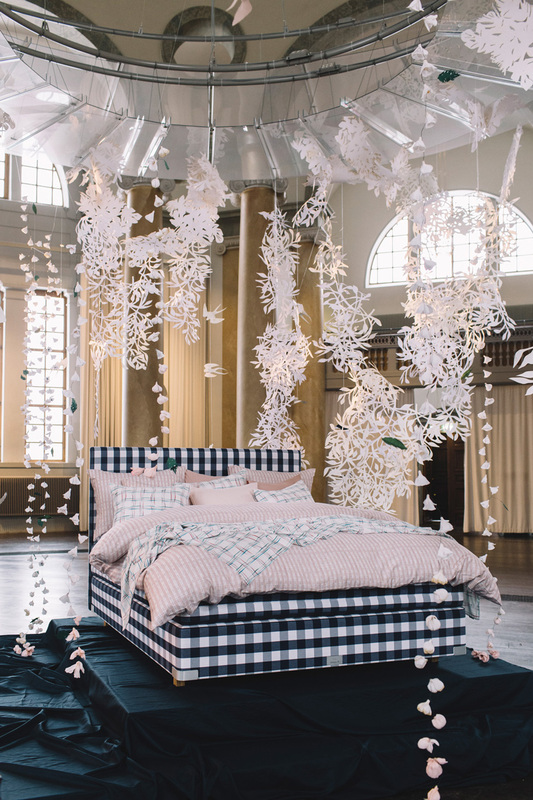 during stockholm design week, the luxury swedish bed manufacturer transformed the city’s eric ericsonhallen church through a dreamy presentation where paper flowers hung above pastel-hued linens laid over the iconic blue check bed. 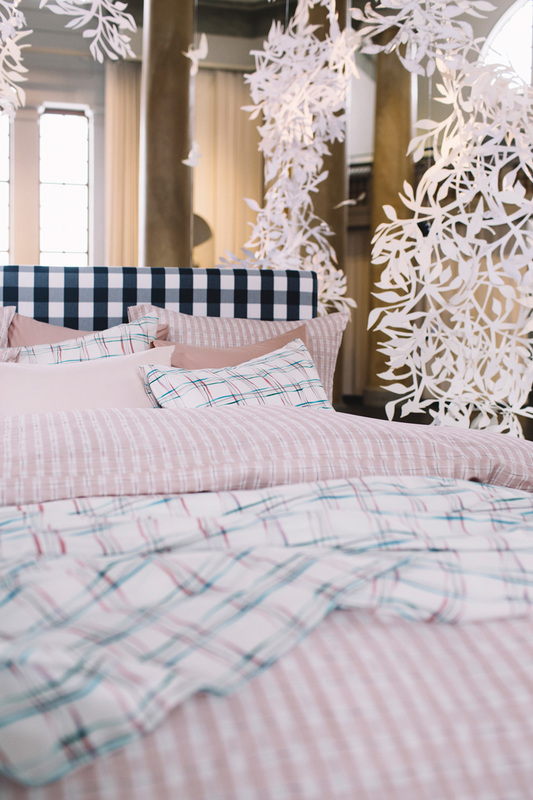 the collaboration sees hästens’ trademark motif completely reimagined for a series of 100% cotton bed linen and accessories. 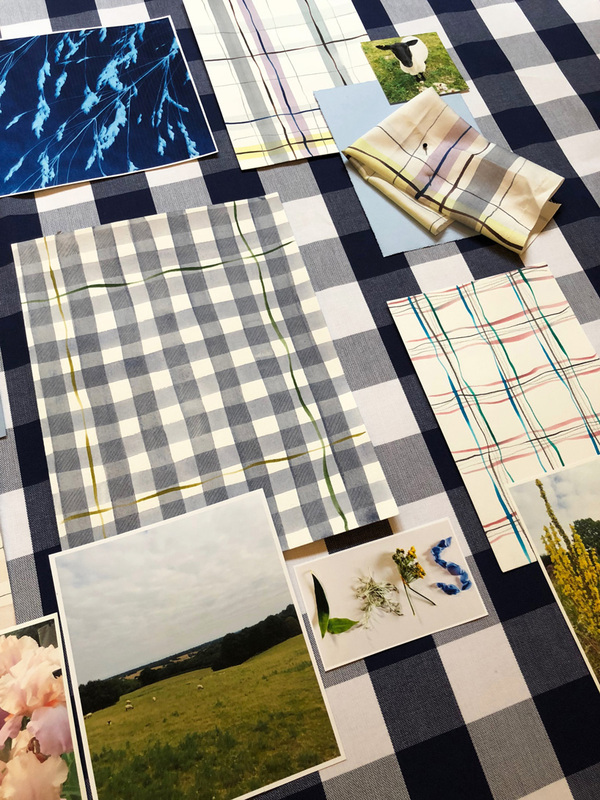 drawn by hand with pencils,watercolors, gouache, and crayon, lars nilsson’s designs pay homage to the classic pattern in pastel hues inspired by the english countryside. ‘I’ve always felt you should feel fabulous when you slip into bed and when you wake up in the morning. 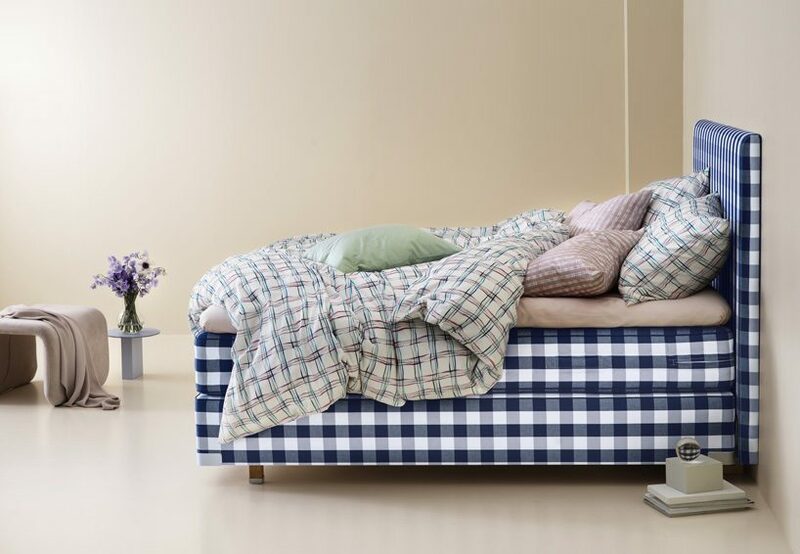 when I was designing these prints for hästens, I didn’t only incorporate inspiration from the flowers and gardens, but also from a deeper more emotional place. 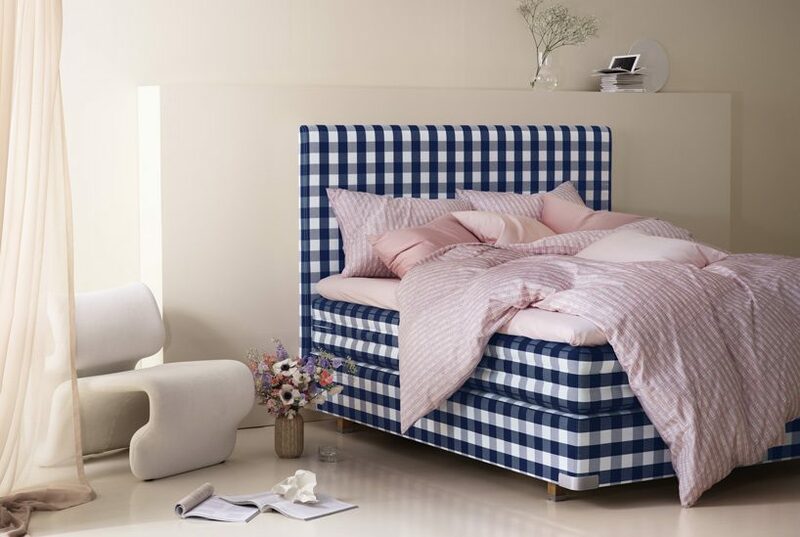 the bedroom and one’s bed is such a personal sanctuary, so what we include in the space is often based on feelings and, sometimes, it just feels right,’ notes lars nilsson. 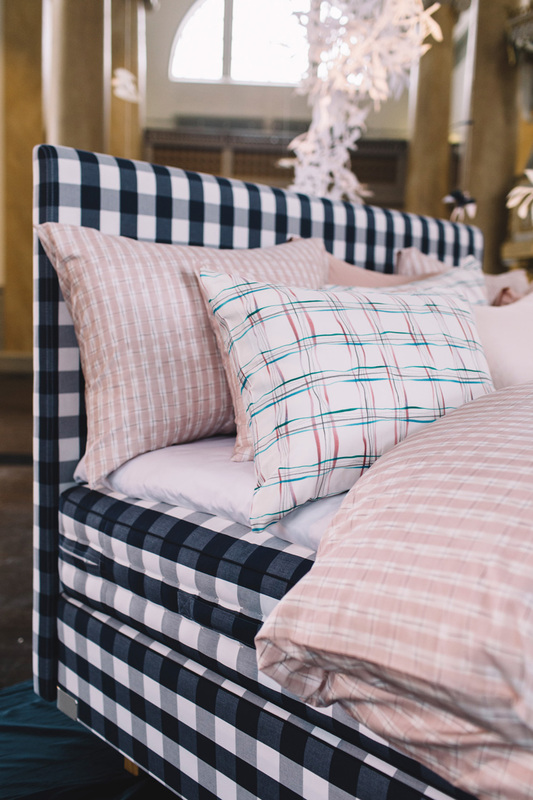 the collection draws influences from nilsson’s travels through the british countryside, where he encountered many beautiful gardens, most notably great dixter house in east sussex. 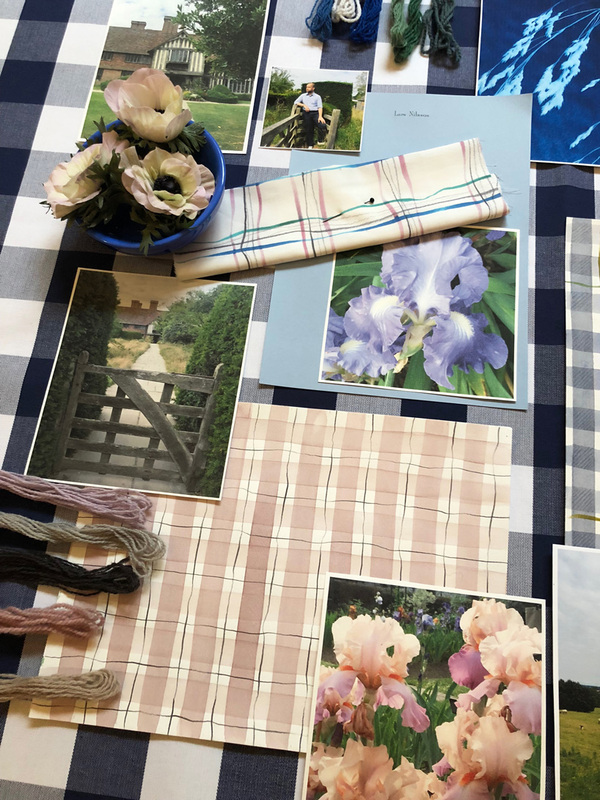 elements from the gardens have been used in the designs, particularly focusing on the iris flower, that explore the use of colors and florals in an entirely new way.